Carbs and crunch are something many people miss while dieting. Luckily using oat bran there are lots of ways to create your favorite “carb” recipes in new ways. This simple recipe will help you make a crispy, crunchy cracker. Just make sure to be careful with the portion size depending on what phase you are on in the diet. There is 1/2 tbsp. 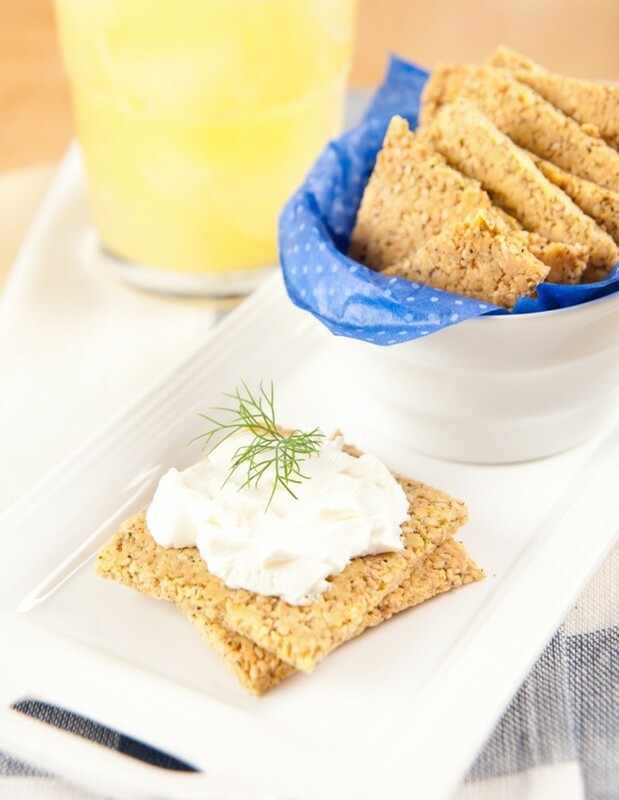 of oat bran per cracker so adjust the portion size to fit your daily oat bran allowance. These are terrific topped with your favorite protein or light dairy. 1. Add the yeast to the warm water and let rest for 10 minutes until it bubbles. 2. Add the oat bran, olive oil, salt, and pepper and stir together until a sticky dough forms. 3. Form into a ball and cover with a towel. Let rise for at least one hour. 4. Preheat the oven to 430 degrees with a baking sheet inside. 5. Roll the dough out to form an 16 by 16 square. You can roll it out between two sheets of parchment paper to keep it from sticking. Cut into 32 crackers. 6. Remove the hot baking sheet and place a new piece of parchment on it. Lay out the crackers and bake for 10 minutes. Flip over and bake for 10 more minutes or until dry and crispy. Am I able to drink soy milk while on the diet?